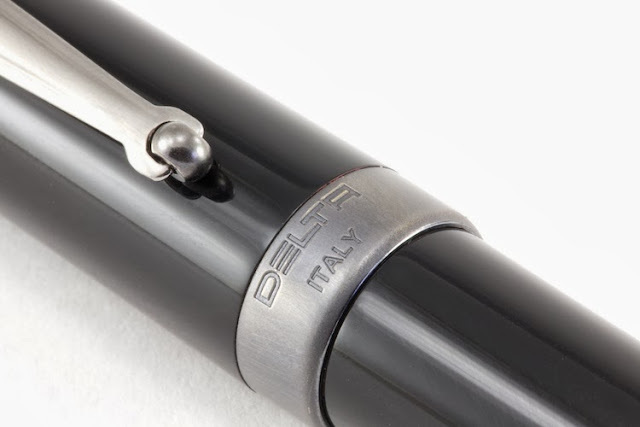 The Delta Serena is a new pen that I’ve been very excited to review ever since I first laid eyes on it back in August of 2013 at the DC Fountain Pen Show. It’s taken until now for Delta to begin distributing them to retailers like myself, so I wanted to share them with you. 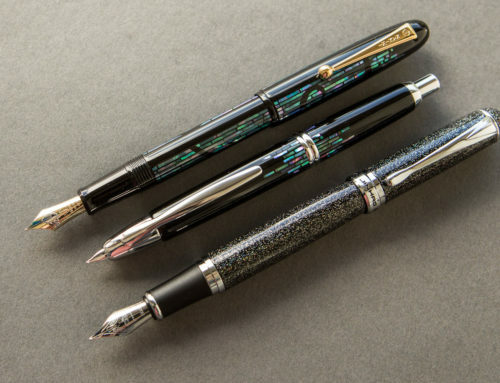 The Serena is the most affordable pen available from Delta today at $135 list ($108 at my site, the price you’ll find at most online stores). It’s available in three colors, black, red, and blue. Guess which is my favorite? 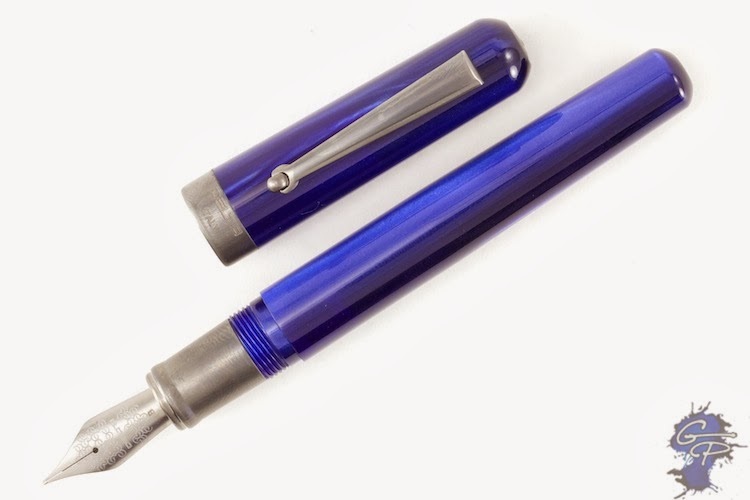 😉 The pen comes with a stainless steel #6 size nib in fine, medium, or broad, and is coated with a brushed titanium finish that matches the trim of the pen. I’m digging it. The thing I like the most about this pen is the way it writes, it just gushes. 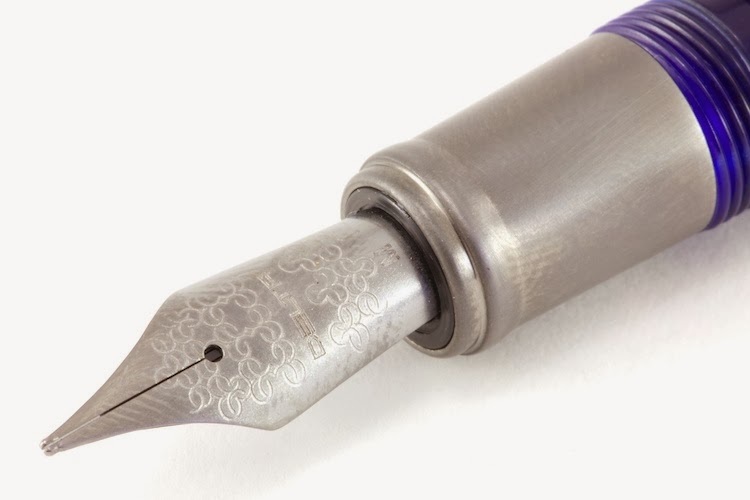 Those of you who like tiny little Japanese nibs with tight lines that eek out ink, stay away from these. 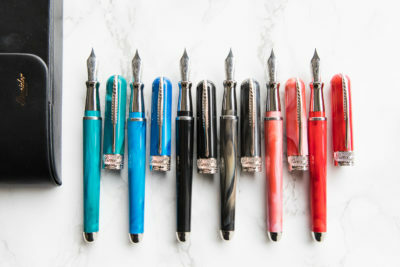 These suckers are like little firehoses and gush ink gloriously from the nib. 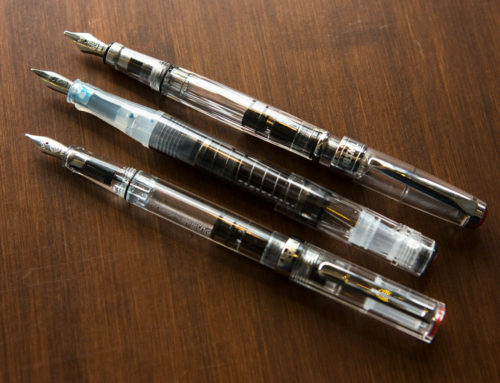 You’ll have to check out the Nib Nook to see how it compares to other pens, I find that the Serena nibs write about a full size broader than other nibs. 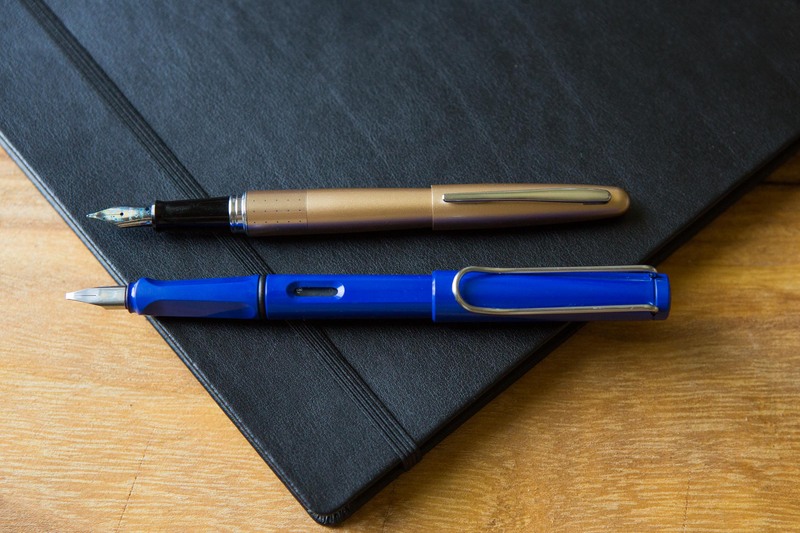 In the video I compare it to a Lamy Al-Star. The nibs are smooth, not glassy but smooth. They give me just a touch of feedback as I write with them on my favorite Rhodia paper, but don’t slip and slide all over the place. 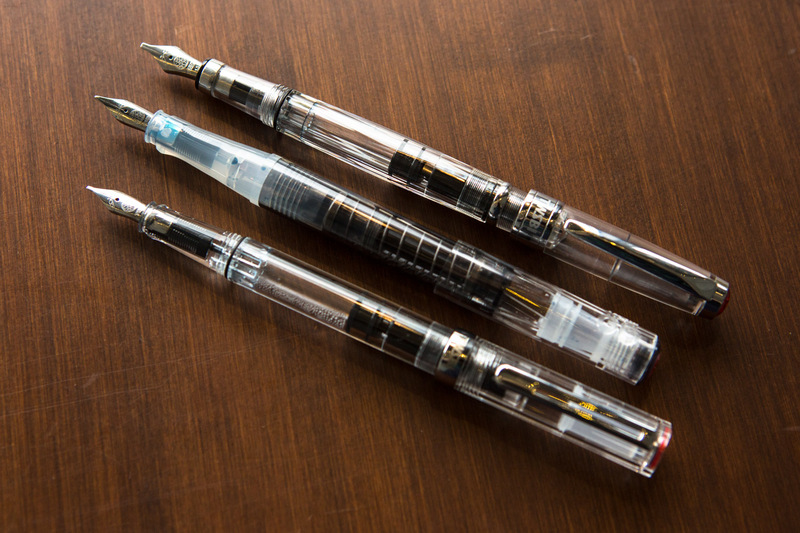 Unfortunately, the broad nibs are backordered for me, so I wasn’t able to review them. But I don’t know that I’ll honestly even want to carry them since the fine and mediums are so broad as they are. 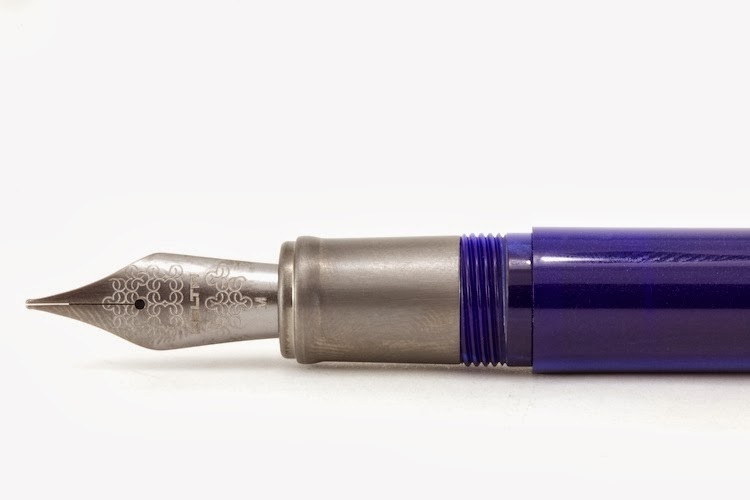 I can’t imagine that there will be that many people that will even want the broad nib on this pen, so if you do want it, let me know in the comments and I’ll pick it up if enough people clamor for it. I also like the design of this pen, it’s sleek and classy, but fairly subtle with the gun metal colored trim. 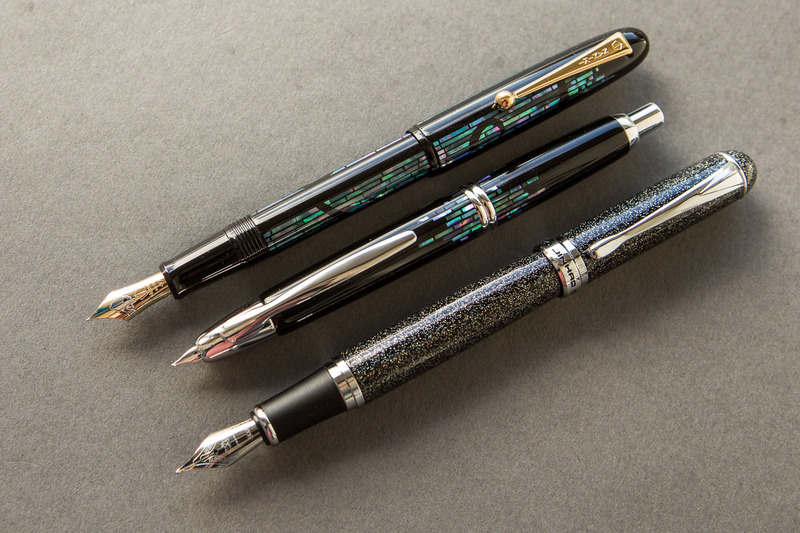 The resin used on these pens is a cast resin, rather than an injection-molded plastic. 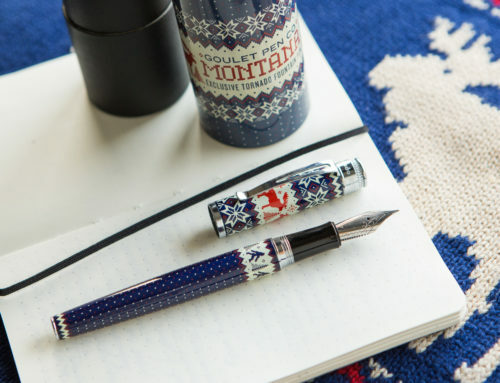 The blue and red pens have a bit of translucence to them, giving a pearlescent sheen that catches the light as you spin the pen. The black one is just a deep, glossy black with no sparkly stuff in it like the other two. 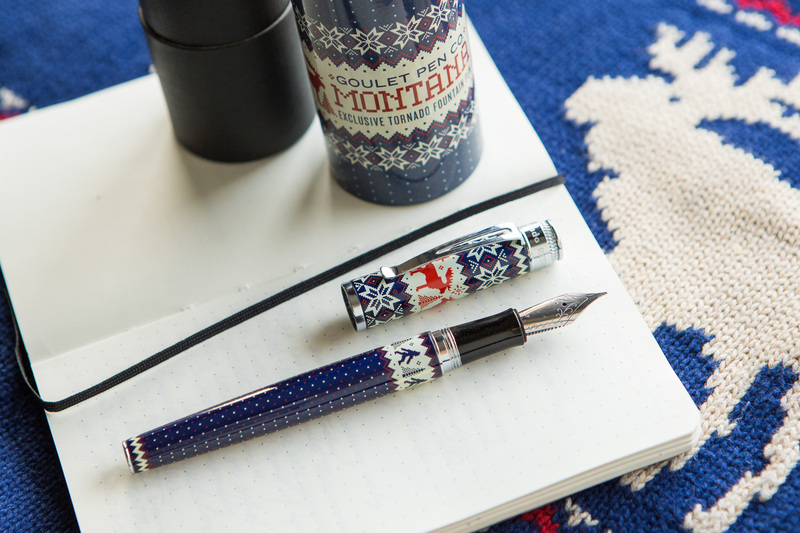 A few nice Delta logos and accents jazz up the pen around the center band and finial. The only thing that might be hit-or-miss on this pen for you might be the grip section. It’s a relatively short grip, so it’s almost hard not to have your fingers on the threads that hold the cap. However, the threads are rounded over nicely, so even though I have my thumb resting right on them, I don’t find them bothersome in the least. But if you are hypersensitive to touching threads, you might just want to take that into consideration. 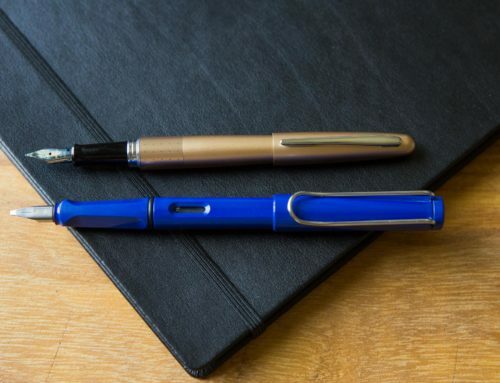 All-in-all, I’m thrilled to see a reputable pen company like Delta release a more affordable pen. 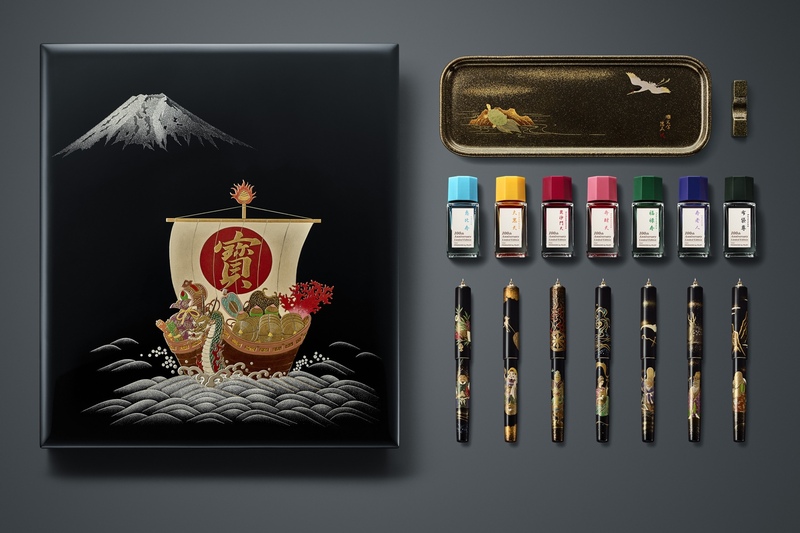 Over the last several years I’ve seen a trend of established pen companies raising their prices and discontinuing entry-level pens, which saddens me because it discourages newer fountain pen users from getting into a brand. 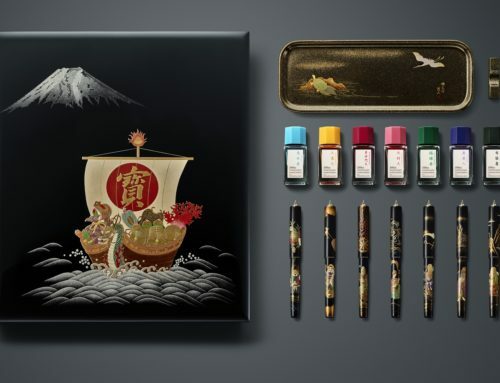 Typically I see the more affordable pens being introduced by newer companies like Noodler’s and TWSBI, so it’s refreshing to see a company that typically sells pens in the $500-$1,000 range offering pens that someone starting out can reasonably aspire to buy. $108 isn’t ‘cheap’ by any means, but for a nicely designed and smooth, wet writing pen like this, I think is quite fair. I’d love to hear what you think of the Delta Serena, please leave me a comment below!